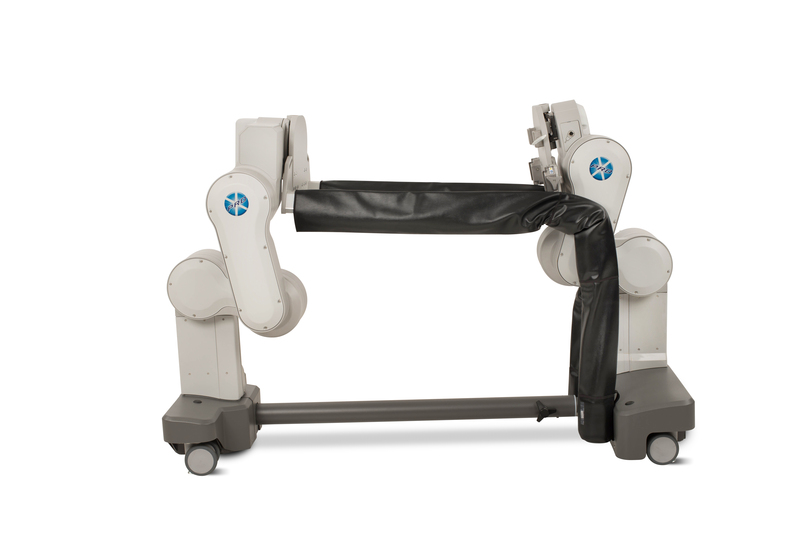 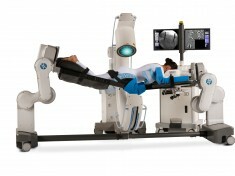 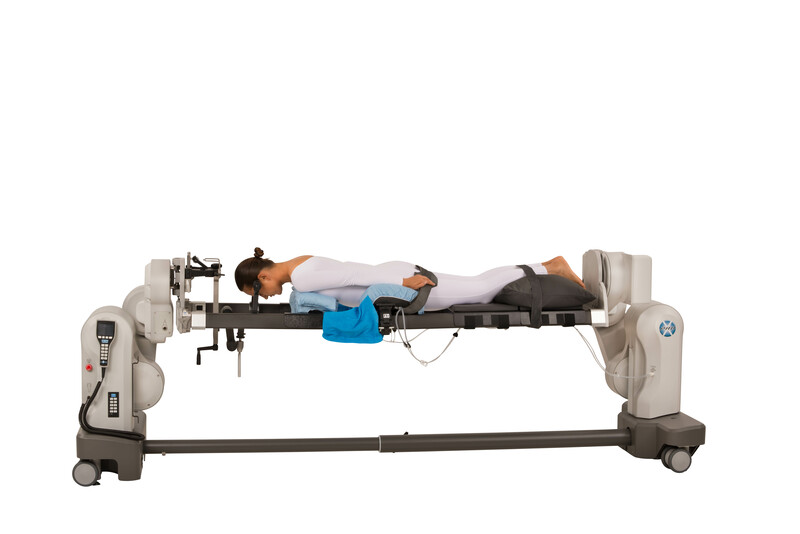 Designed to support the biomechanical aspects of spinal and imaging procedures, ProAxis® features software-controlled advanced hinge technology that allows for flexion and extension, providing direct visualization of intraoperative changes in spinal alignment. 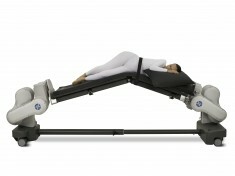 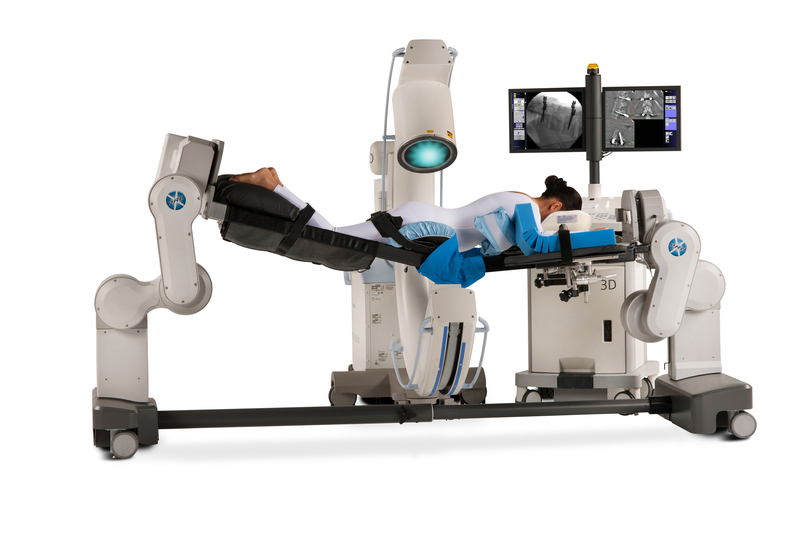 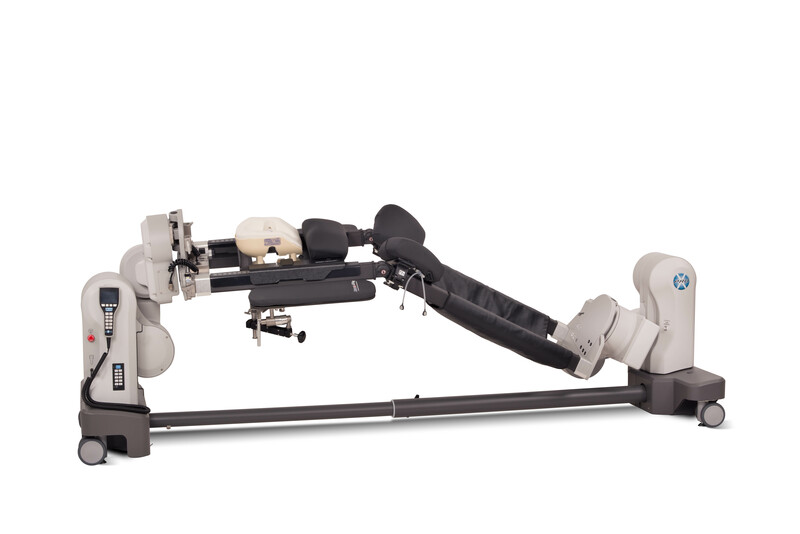 ProAxis® Spinal Surgery Table offers the choice of two positioning Hinge Modes, Fixed Surgical Site and Fixed End, to allow for optimal patient positioning and surgical site control. 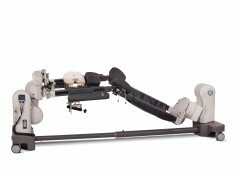 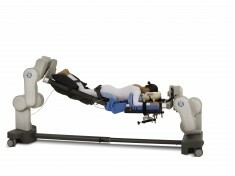 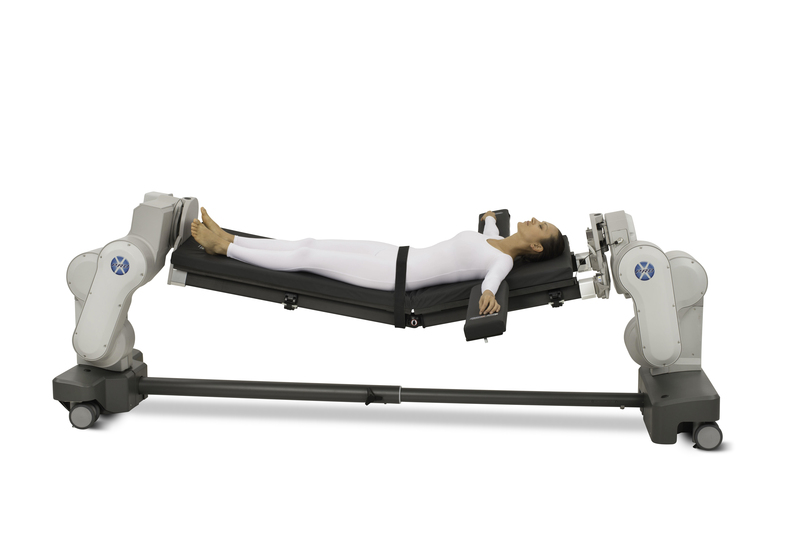 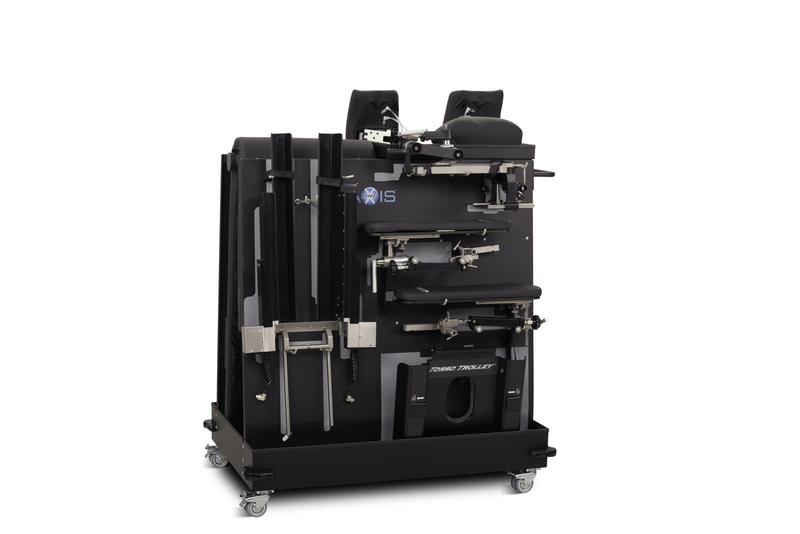 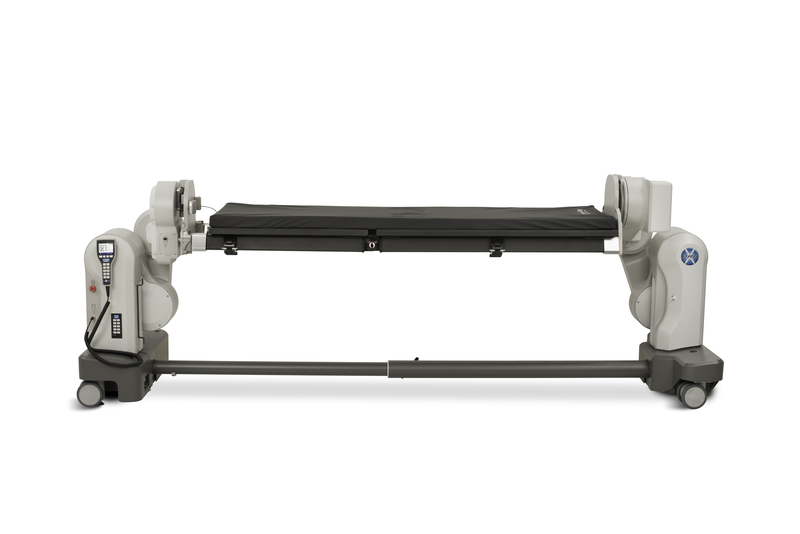 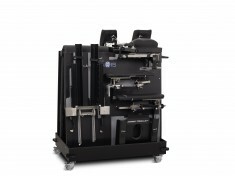 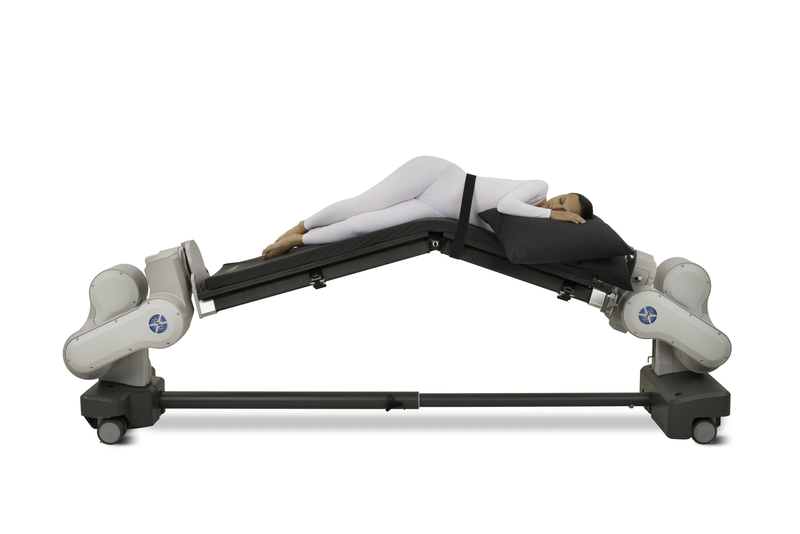 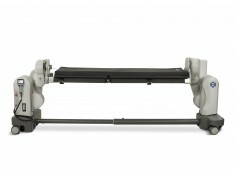 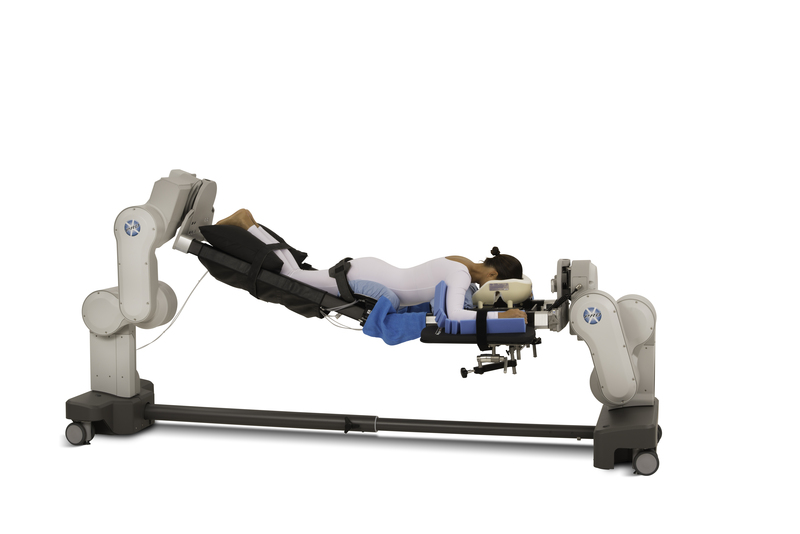 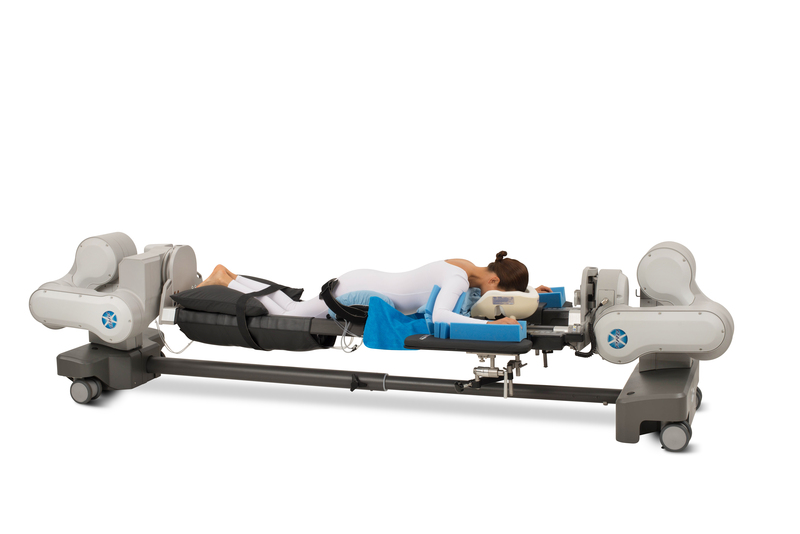 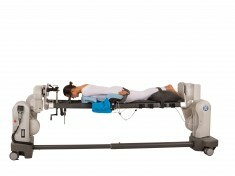 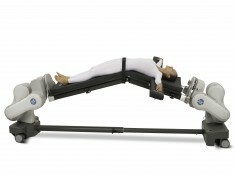 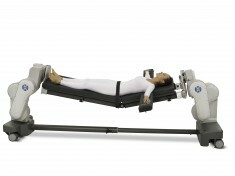 ProAxis® can be easily reconfigured from an open frame spinal platform to an imaging top using the removable two-piece supine top with built-in slide translation. 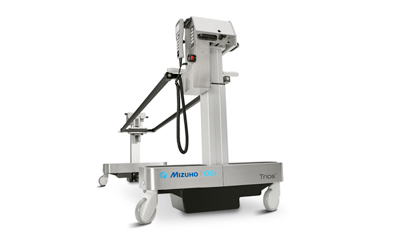 The table’s positioning and operating functions are controlled by an intelligent hand pendant, the IntelliPENDANT®, which displays real time information on the table’s state and provides continual user feedback. 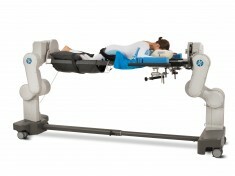 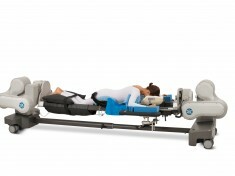 Tempur-Pedic® Medical Pad technology incorporated into all patient surfaces. 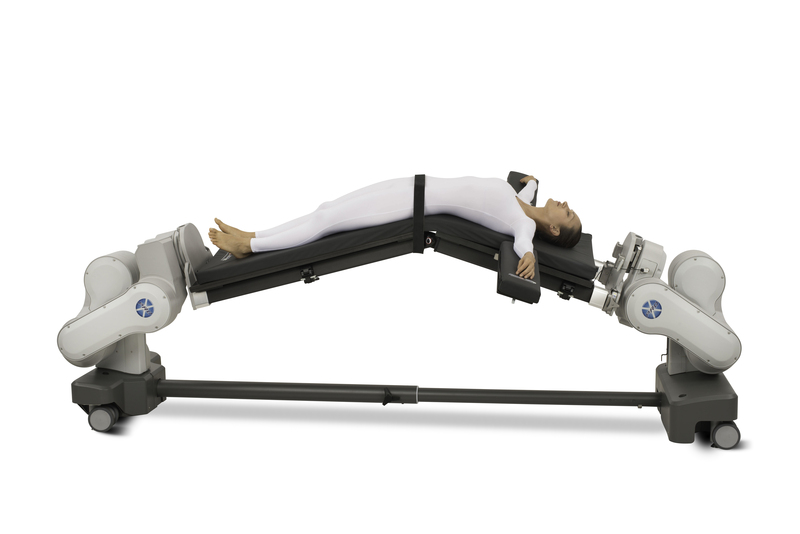 O-arm® is a registered trademark of Medtronic, Inc.
Total Table Length 122-138 inches (310 – 351 cm) dependent on where the table is in its range of movements. 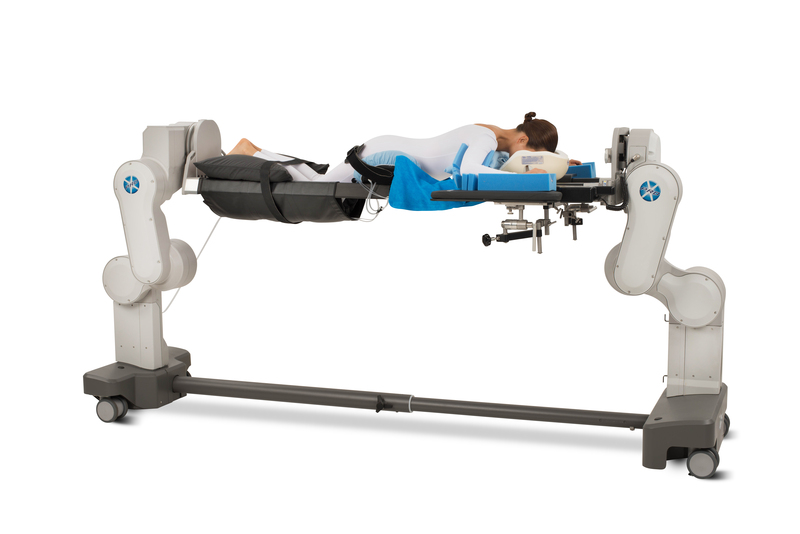 Tempur-Pedic® is a registered trademark of Tempur-Pedic Medical, Inc.
DORO® is a registered trademark of pro med instruments GmbH. 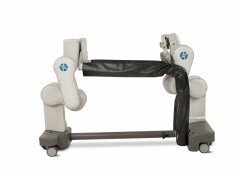 Mayfield® is a registered trademark of Schaerer Mayfield USA, Inc.